Gold jewellery at MJ is hallmarked and diamonds certified. To value the authenticity of people we work with. To respect & empathise with our every stakeholder. To find creative ways of doing ordinary things everyday. Our vision is to grow at a steady pace while creating happy & memorable experiences for our stakeholders and keeping our values intact. 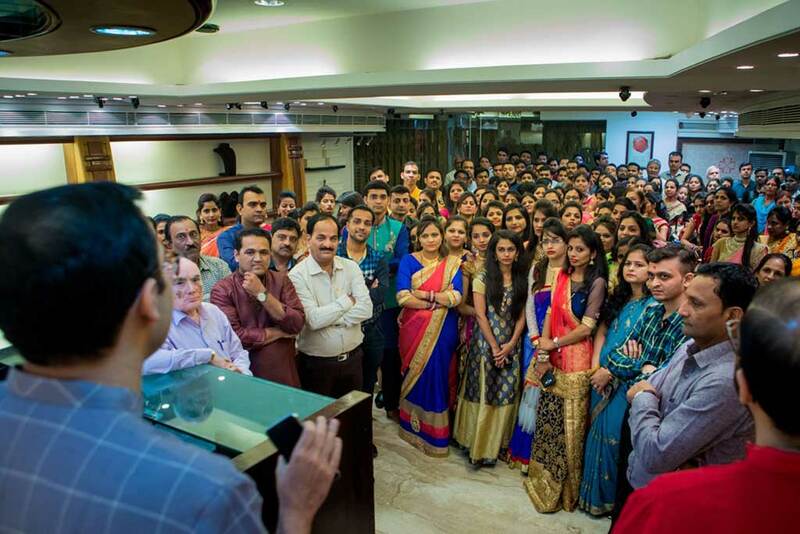 Manubhai Jewellers is one of the top jewellery showrooms in Mumbai. 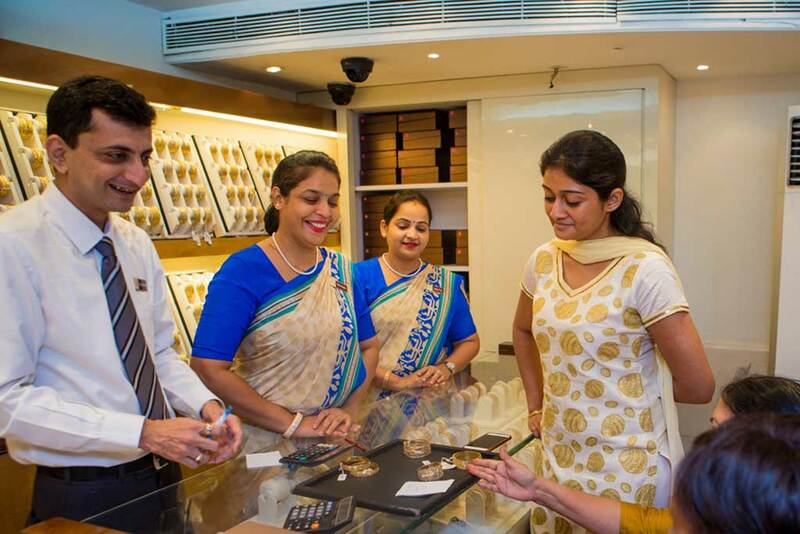 Come visit the best shop to buy gold jewellery in Mumbai. We are located in Borivali West at the intersection / junction of Lokamanya Tilak (LT) Road and Factory Lane, within the Mini Zhaveri Bazaar locality in Gautam Nagar, Borivali West. We are situated right next to Tanishq Jewellery so you can also use them as a landmark. We are open from 11am to 8pm every day. We have beautiful bridal jewellery in gold, diamond, kundan, jadau and more crafted by the best jewellery designers in Mumbai. You can find both modern and traditional jewellery here. Choose from a wide selection with options for each age group. Whatever decision you make; you are guaranteed to leave fully satisfied. Right now, you may be thinking "I am not in Borivali West. How can I get to Manubhai Jewellers?" For people coming from the Airport. 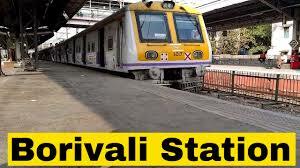 Borivali is about 14 kilometers from the Mumbai International Airport and around 18 kilometers from the domestic Airport. Even if you are on the outskirts of Mumbai, you need not fret. Car owners can go on the Western Express Highway and get to Manubhai Jewellers within about one and a half hours. You can also take the EMU Fast Local train to Borivali. The Mumbai local train should take you around an hour to reach. 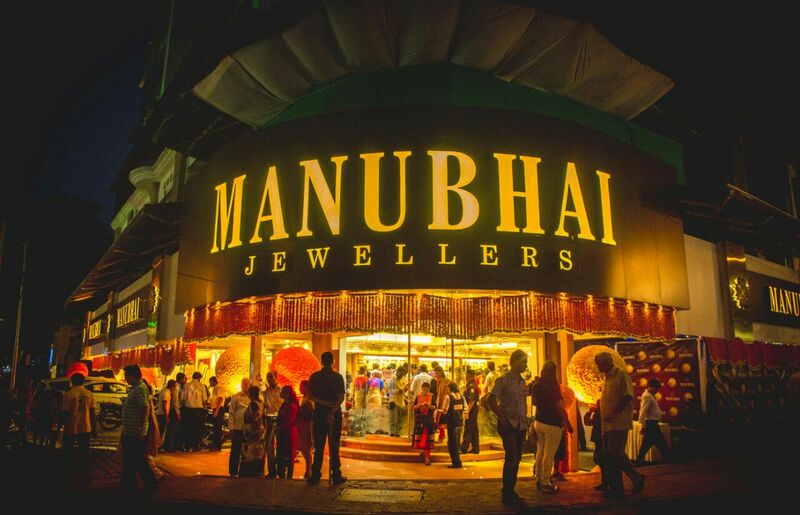 Manubhai Jewellers, stocking the best diamond jewellery in Mumbai is less than 5 minutes away from the Borivali train station, so you can either walk or take a cab/rick. Here are more directions for people coming to visit us in Borivali from other areas. 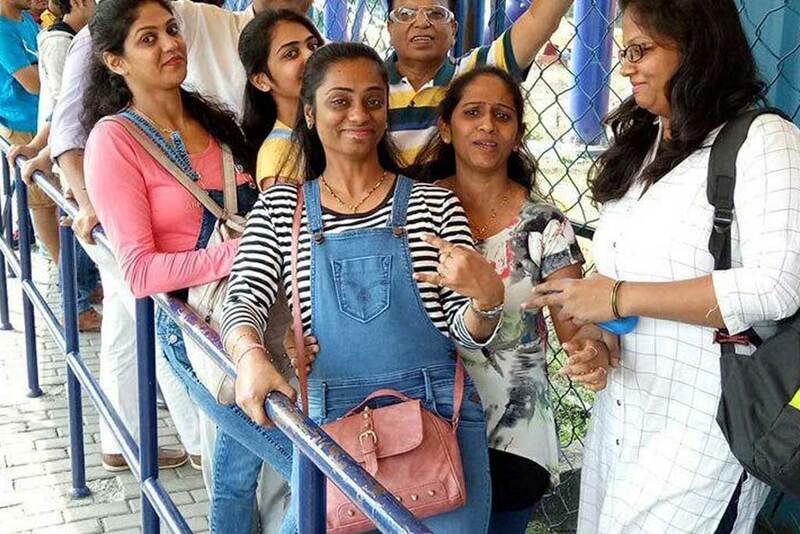 Let’s get to know Borivali better. 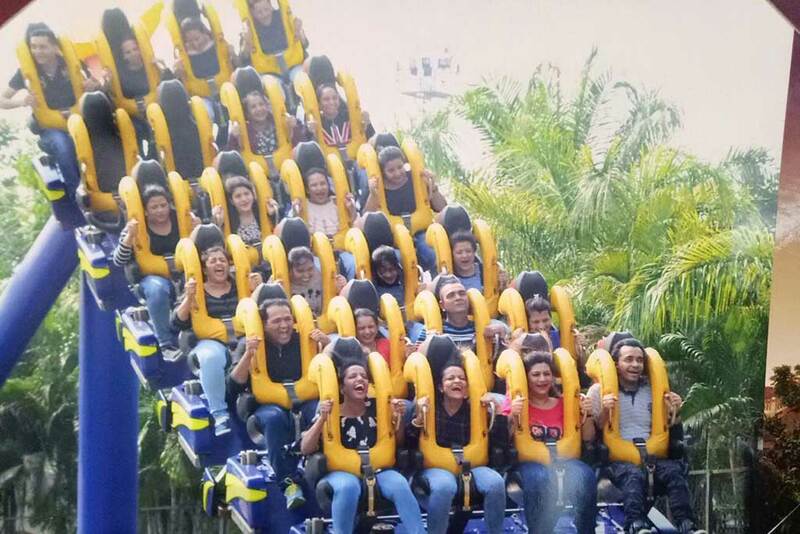 Borivali (also known as ‘Borivli’) is situated in the neighbourhood of northwest Mumbai. The name is derived from "bor", a Marathi word which means berries. The place had an abundance of berry bushes, and hence the name ‘bori-vali’ literally translates to 'berry-town'. 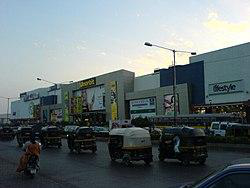 Did you know that Borivali is also home to one of the oldest shopping malls in India, the Indraprastha Mall (also known as Indraprastha Shopping Center)? 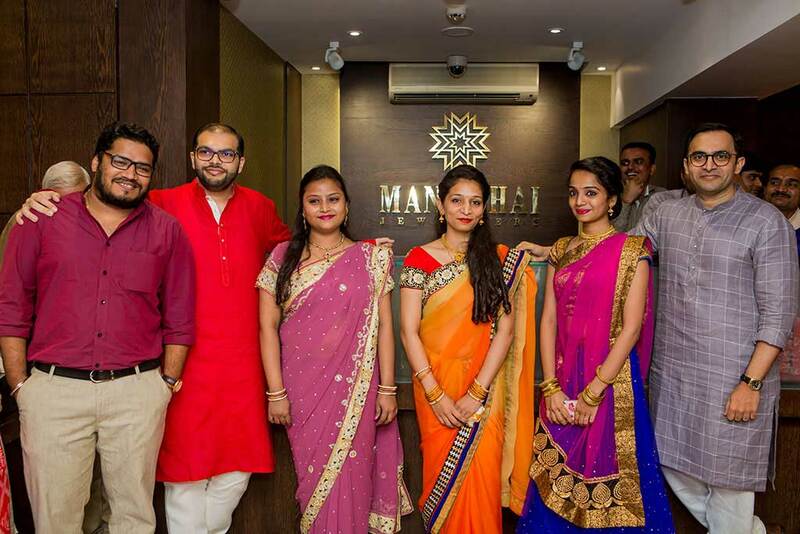 Manubhai Jewellers had its humble beginnings at the Indraprastha Shopping Center in the early 90’s and has since grown to be the best place to buy gold jewellery in Mumbai. 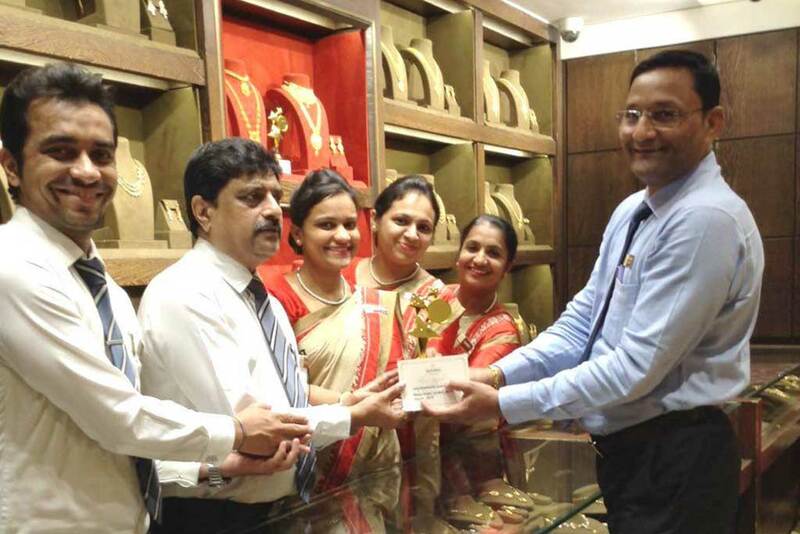 After Bandra and Andheri, Borivali has emerged as a top area in Mumbai for jewellery shopping and bridal shopping. It is also home to the Sanjay Gandhi National Park. This park is one of the most visited in the world and a wide variety of flora and fauna flourish here. It also has the highest point in Mumbai, known as 'Jambulmal'. 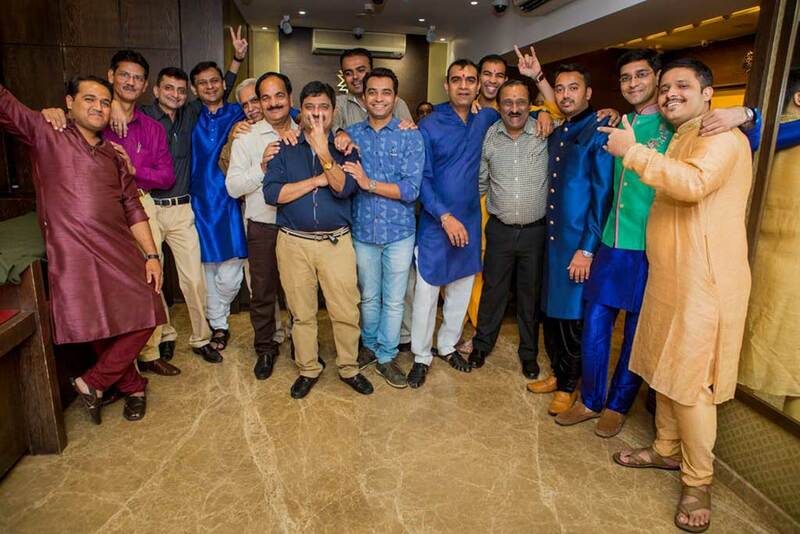 Getting to Borivali West, and subsequently Manubhai Jewellers, is easy. Just follow our custom Google Map. You can cross over from Borivali to the west side by travelling from IC Colony Road and Link Road. If you have a car, take either Eksar Road and Chandavarkar Road you will reach in 10-15 minutes. You can also take a bus for transport and arrive within a similar timeframe. Kandivali is located in North Mumbai, near the coast. Kandivali was formerly known as ‘Khandolee’ and is a cosmopolitan area with mosques, churches, and temples. Like much of the other areas in Mumbai, Kandivali has its own railway station. Two lines of the Mumbai Metro (2 and 7) are also scheduled to pass through Kandivali. Along with Goregaon and Malad, Kandivali is emerging as one of the top residential areas in Mumbai. 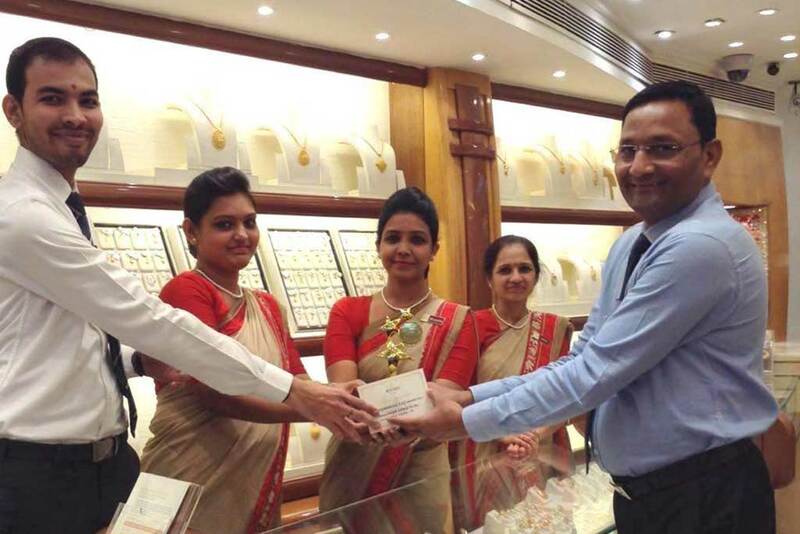 Kandivali is rather close to Manubhai Jewellers and it is fairly easy to reach us. The fastest way to get to Manubhai Jewellers from Kandivali is via S V Road, which takes about 20 minutes. Those on the east side of Kandivali can go by Dattapada Road and get here in about 15 minutes. The Western Express Highway works as well. Alternatively, you can take a bus and arrive between twenty minutes to half an hour. Malad is located in north Mumbai. Malad used to be full of mangroves with not too many residents. 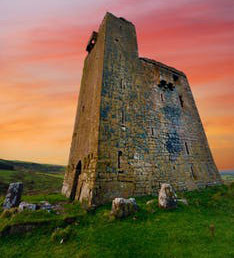 Malad actually got its name from the mines in the area that contained Malad Stone. Up until the mid 20th century, that was the way it was. Malad is now one of Mumbai’s fastest growing localities with flourishing residential areas and shopping hubs.. The Malad area actually lies between Kandivali and Goregaon. 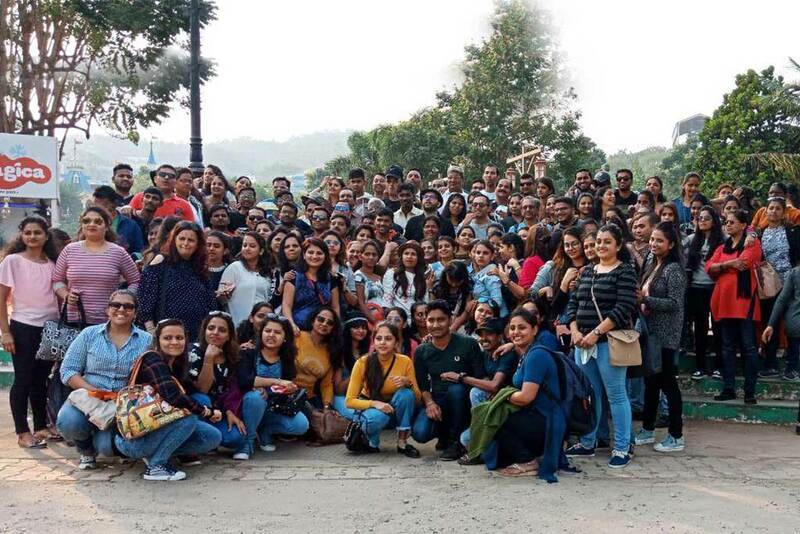 It has the BMC Garden where nature lovers and others can enjoy the lush green pastures and take a nice long walk, or just lie down and take a nap. People in Malad can also spend time at the Aksa Beach. There is also the Jurassic Park Resort and Club. 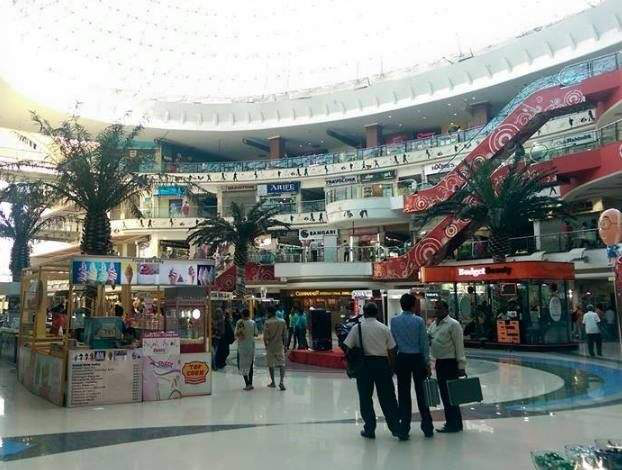 The Inorbit mall is another popular location. 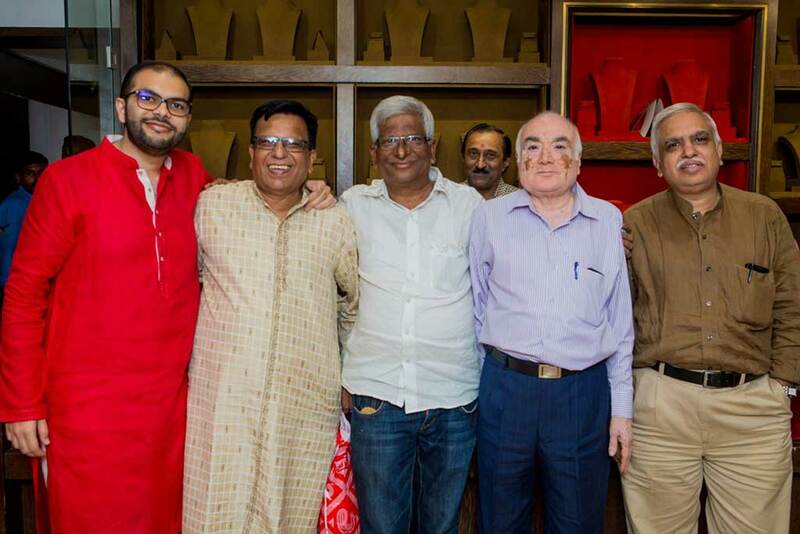 Fortunately, Malad is merely 6 kilometers from Manubhai Jewellers. The fastest way to reach our destination would be to use the train as it has a direct route from Malad to Borivali. This takes just 45 minutes. By road, you can use the SV Road as it directly connects both the cities and you can reach within 30 minutes despite the traffic. 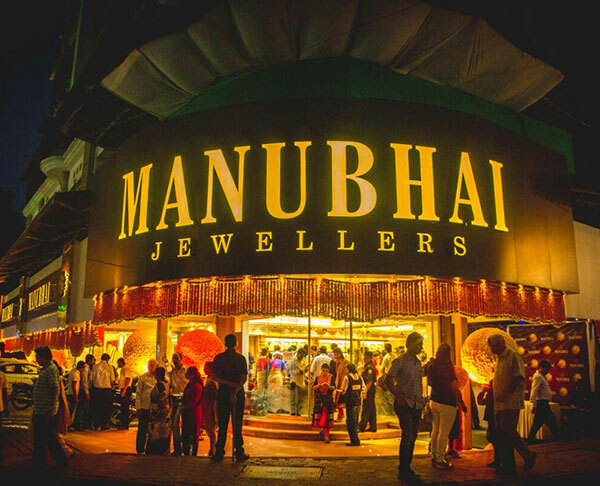 You will soon be able to view exquisite diamond rings, diamond earrings and diamond necklaces, all in one place at one of the biggest jewellers in Mumbai, Manubhai Jewellers. Goregaon is a suburb of Mumbai. The area had a low amount of people until as late as the 1970s. Around 45 years ago, everything changed. Thanks to the 1980s housing boom, the place saw an increase in real estate and a huge burst in population. 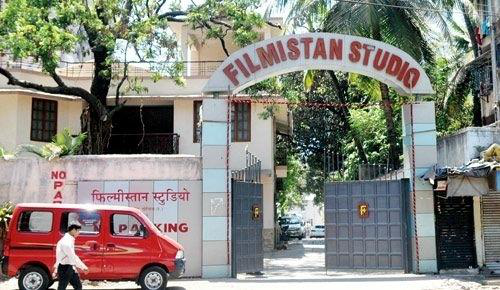 Goregaon is also the home of famous film studios such as Film City and Filmistan. If you are in Goregaon and want to visit Manubhai Jewellers, your best option is the Western Express Highway as this is the fastest route. You can arrive within half an hour to 45 minutes. For people in Goregaon without a vehicle, don't worry at all as there are other means. If you travel by bus, you can arrive at Manubhai Jewellers within an hour. You can also take a bus to the Goregaon Railway Station and ride a train to Borivali, which takes about 50 minutes. Andheri is a location in West Mumbai. 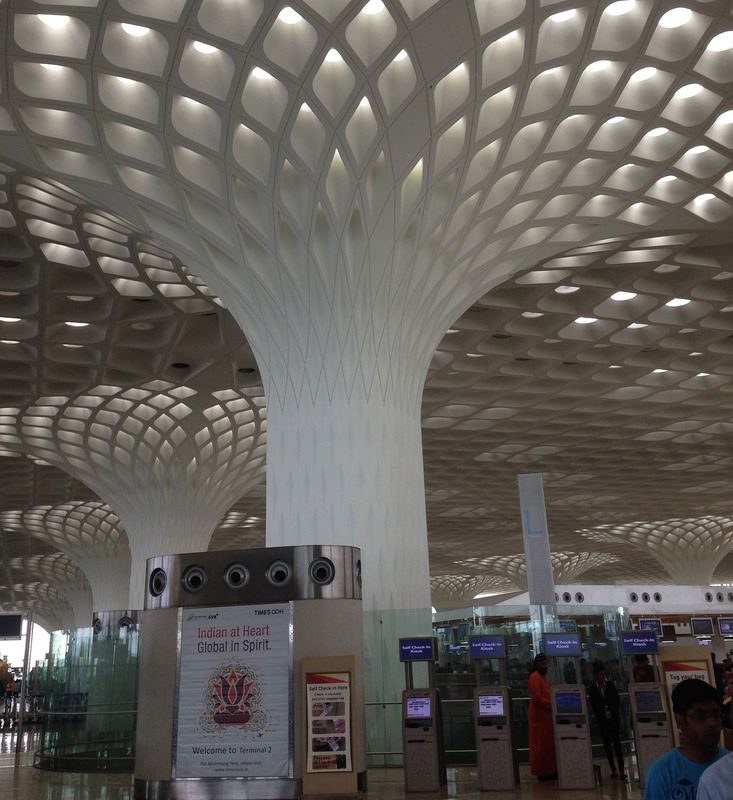 Andheri is also the place where Mumbai’s international airport, Chhatrapati Shivaji International Airport, is located. The Mumbai Suburban District which comprises Borivali, Kurla, and Andheri is the second smallest district of Maharashtra by area. However, it is the fifth largest district in India by population out of 672 total districts. The Andheri Market is the best place to find cheap yet quality products although you would have to master the art of bargaining to get these products at a very cheap price. The Andheri Railway Station is one of the busiest stations in Mumbai. The Andheri Station also divides the place into Andheri East and Andheri West. The Maharashtra government plans to extend the Mumbai Metro to Andheri. The best route to Manubhai Jewellers from Andheri for those going by car is through the Western Express Highway. This takes 40-45 minutes. Meanwhile, there is about a 45 minute gap between the Andheri and Borivali Railway Stations for train users. Thus, it takes basically the same time by both car and train. Powai is located in northeast Mumbai. It is an upmarket neighborhood that is home to one of the top most educational institutions. The campus of the Indian Institute of Technology (IIT) Mumbai, the second oldest IIT institution, is also located in Powai. Fun fact: The name of the city is named after an artificial lake found in the middle of the city called the Powai Lake. 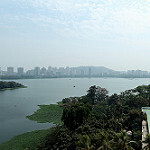 Powai lake is near Powai, and Borivali is located to the north of the lake. 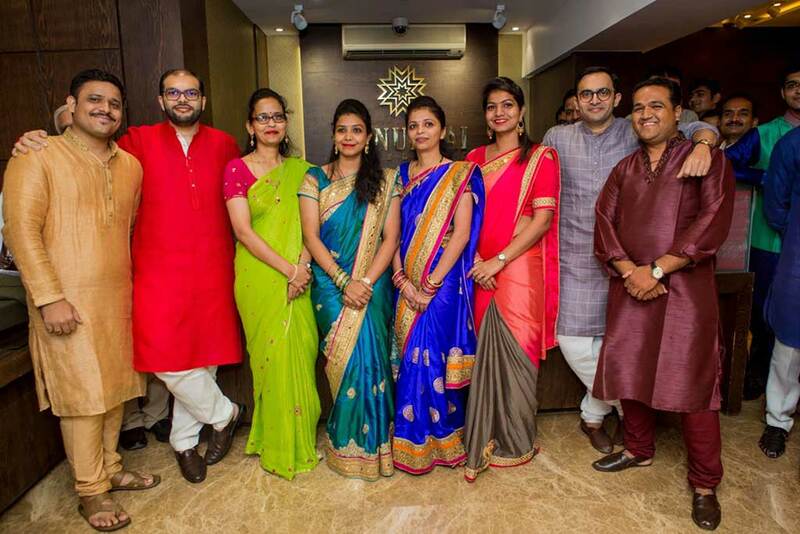 Since Borivali isn’t that far away, reaching Manubhai Jewellers from Powai is not a difficult task at all. 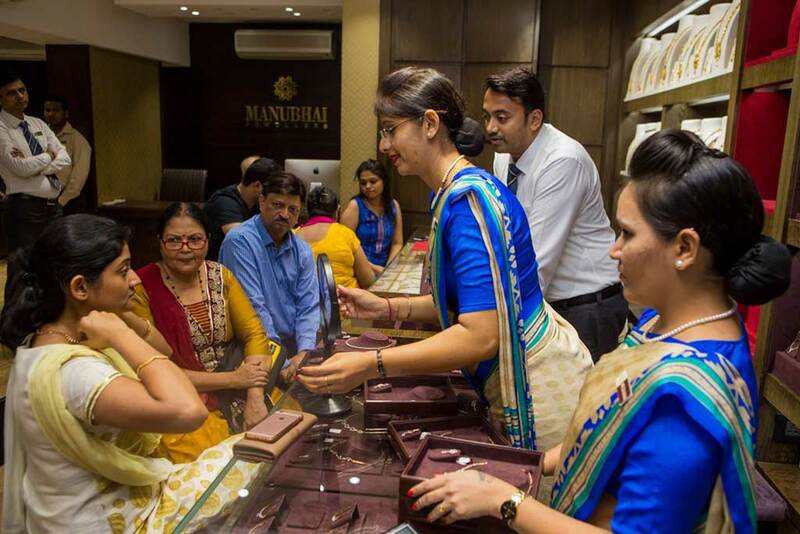 You can travel to Manubhai Jewellers by either bus or train, or a combination of both, which is an hour’s time. 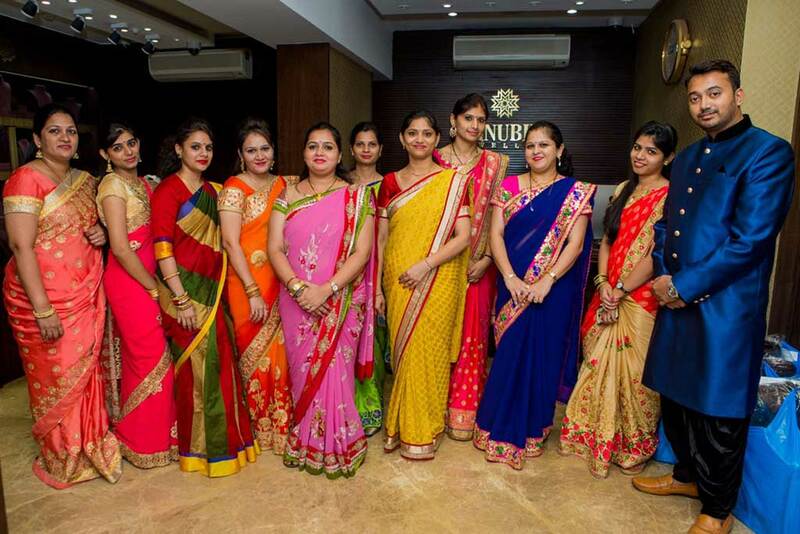 Manubhai Jewellers is just a ten minute walk away from the Borivali Railway Station. As for those going by car, you can use the Jogeshwari-Vikhroli Link Road to connect to the Western Express Highway. After that, all roads leads to Manubhai Jewellers and you can get here within 50 minutes. Vasai is a part of Vasai-Visar city located in Palghar District in Maharashtra. It was historically referred to as 'Bassein' or 'Baçaim'. The place is home to the Bassein or Vasai Fort. This fort is spread out over 110 acres and was built way back in 1536 by Portuguese settlers. Vasai is now being recognized as a good destination for shooting movies and songs. The British band Coldplay even chose Vasai as the spot when they did shooting for their song 'Hymn for the Weekend'. The aforementioned Bassein Fort is also a popular shooting location for Bollywood movies and songs. That’s not all, though. Vasai also has other tourist attractions. There’s the Vardhman Fantasy Amusement Park which has rides and boating. More fun and entertainment awaits at the Great Escape Water Park. Those who prefer spiritual places can visit the Tungareshwar Temple. Vasai has a beach and a creek, the latter of which must be crossed in order to get to Manubhai Jewellers. If you travel on the NH48 highway, you can arrive in about an hour. A faster option is by train which takes only around half an hour. Juhu is an upmarket residential suburb near the coast of Mumbai. It is located in the center-leftmost portion of Mumbai. 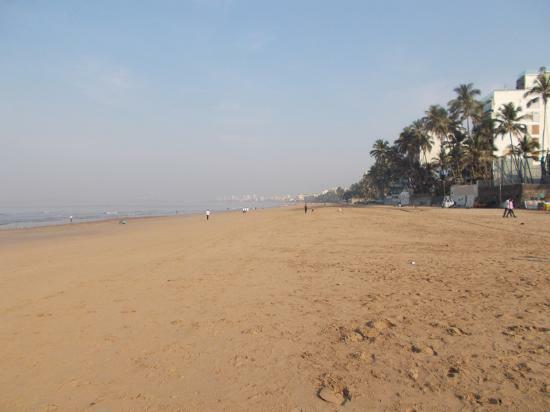 The Juhu Beach is one of the most popular tourist destinations there. Juhu actually used to be an island back in the 1800s but thanks to receding sea levels, it is now a part of the Indian mainland. 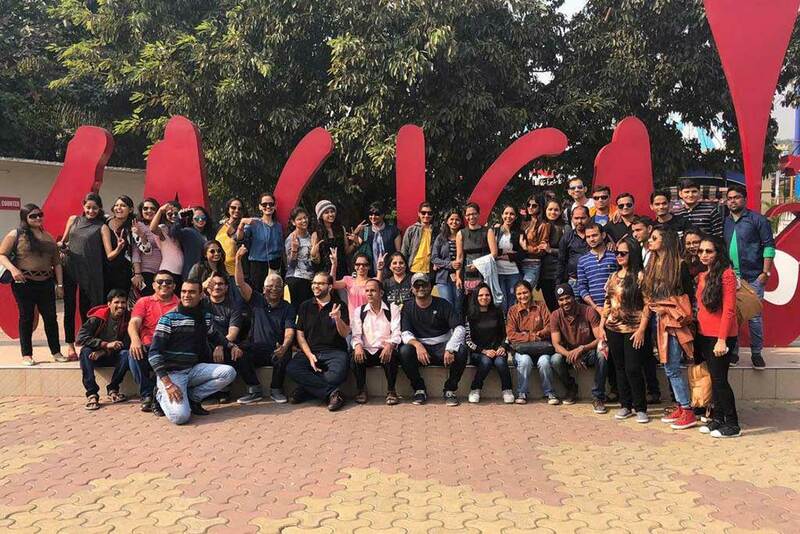 The Juhu Chowpatty Beach is located on the shores of the Arabian sea and is visited by people throughout the year, including to shoot movie scenes. Mahatma Gandhi himself took many walks on the beach during India’s independence movement. The beach is pretty close to the airport and can be used for plane-spotting as well. Juhu also has the Juhu Aerodrome, which is India’s first civil aviation airport. Juhu houses a lot of celebrities from Bollywood and it is a good getaway resort. It also has the ISKCON (International Society for Krishna’s Consciousness) Temple. Directions to Manubhai Jewellers from Juhu are similar to those of the previous location (Mumbai). Taking the Western Express Highway is your best bet by car, or you can take an EMU local train. In both instances, you should arrive within 1.5 hours, depending on traffic of course. 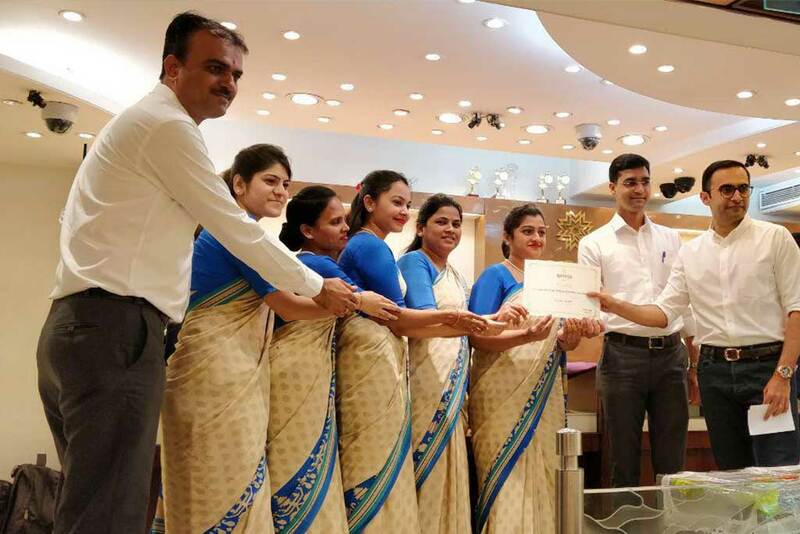 Manubhai Jewellers - 1/3rd of Google Searches point to us for "Best Jewellers in Mumbai"
Mumbai (colloquially known as Bombay) is the capital of Maharashtra and the financial capital of India. Mumbai is the most populated city in India and there are over 16 lakh people living there. 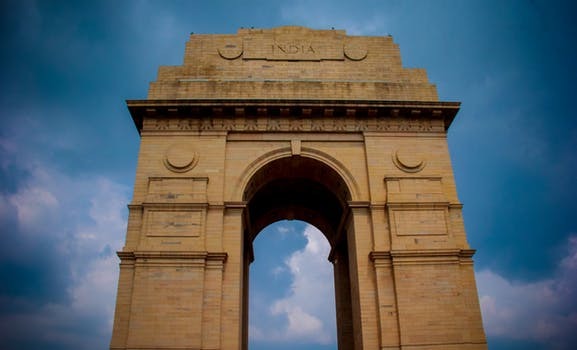 It is also the wealthiest city in India. This metropolitan city is a melting pot of deas with a blend of different cultures, cuisines, religions, and customs all coming together. The Bombay Stock Exchange, Bollywood, and Gateway of India all call Mumbai their home. Jewellery is the best gift for any event. Whether it is a birthday, anniversary, wedding, engagement, housewarming, or graduation, a gorgeous piece of jewelry is something which the receiver can cherish for a life. However, you don't have to wait for someone else to purchase your jewelry - you could always treat yourself! 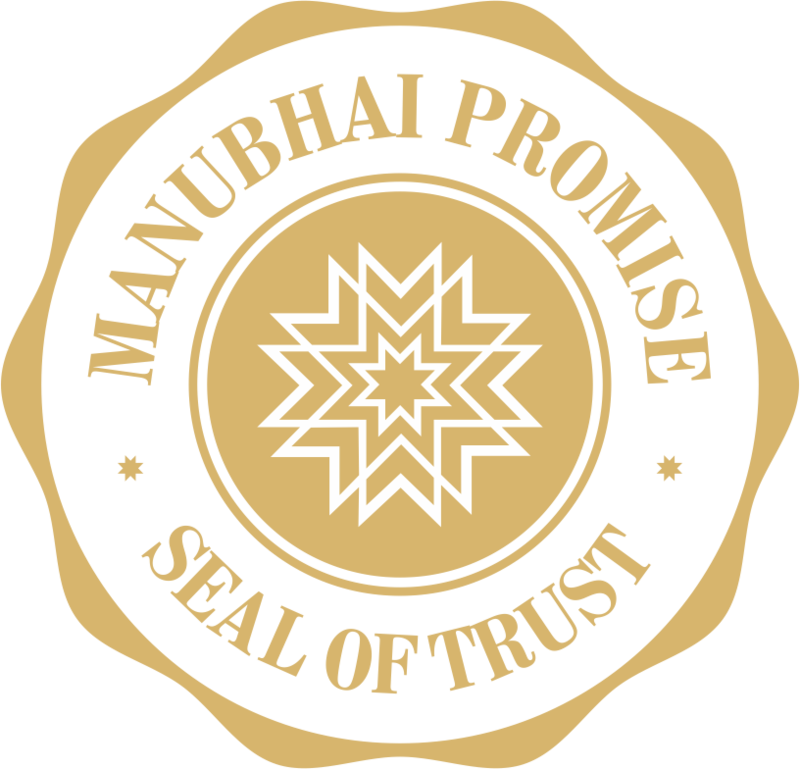 At Manubhai Jewellers, gold & diamond jewelry comes with a guarantee of workmanship and quality. We provide a stunning choice of jewellery for yourself or somebody special. With many different cuts like marquise, baguettes, cushion cuts and much more, we provide you exquisite jewelry designs with the best diamond quality. To make sure that the highest diamond standards are preserved, we certify our diamond jewellery with IGI (International Gemological Institute). Whether you're searching for a gift or for yourself, you'll discover just what you're searching for in Manubhai Jewellers. Our showcases are full of premium quality pieces of gold and diamond jewellery. 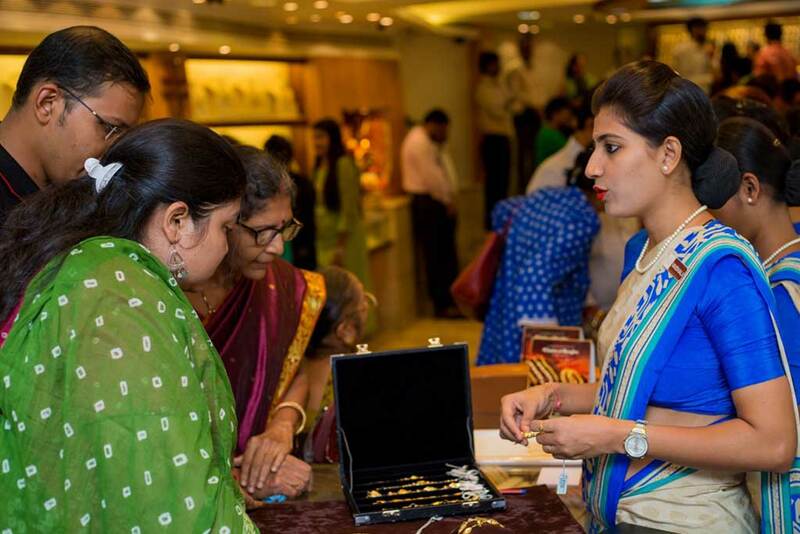 As you browse through our Borivali store, you will find gold, diamonds, bangles, bracelets, chains, earrings, pendants, necklaces, rings, mangalsutra, studs and more. We have jewellery for every occasion - casual, cocktail, festive, formal, wedding and everyday wear! Google Maps is your best friend. Just type ‘Manubhai Jewellers’ onto your map and you should get directions, no matter where you are. Be sure to contact us if you get lost or confused. Feel free to call us at 022 2899 2042 and we will show you the way to view the best jewellery designs in Mumbai. We hope to see you here. Travel safely!